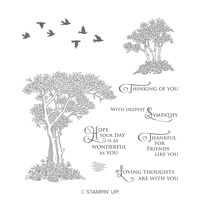 Fable Friends Cling Stamp Set by Stampin' Up! An overload of cuteness for Easter! Who can resist these cute animals? We certainly can't!